Multifamily Utility is one of the leading submetering and billing companies in the nation. We help property developers, property owners and property managers promote conservation through the use of submeteirng systems. Our innovative and focused water and waste water products are perfect for mobile homes, apartment buildings, student housing, marinas, military housing and condominiums. Every system we install is code compliant and will work for both new construction projects and replacement projects for existing systems. At Multifamily Utility we work with industry leading manufacturers such as Norgas, Elster, Wellspring, American Meter, Master Meter, IMS and Neptune just to name a few. By working with these industry leading manufacturers we are able to sell, install, read and service non-proprietary meter systems for any situation. At Multifamily Utility we handle everything from system design, to installation, to maintenance and ongoing service. We take care of everything so you can focus on developing and managing your properties. If you should decide submetering is right for your properties the first thing we will do is send out one of our experienced technicians to do a complete property analysis. The analysis gives us an opportunity to find out your goals and needs. Once we know what you want to accomplish with your new submetering system we will design a system that will help you meet the needs of your property. Ratio utility billing system (RUBS) and submetering are not regulated by the Public Service Commission in South Dakota. Therefore the landlords and the property managers are allowed to provide their tenants with utility billing services. It is recommended that the terms of the rental agreement specify who is responsible for the utility charges. 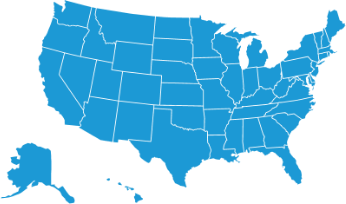 At Multifamily Utility we understand that each state has its own set of regulations that govern the use of submetering systems. That’s why we keep a close eye on all local, state and national regulations. This ensures we only install code compliant submetering systems. To help make the transition process as smooth as possible we will send notices to all residents before installation begins. After our experienced technicians have installed your submetering system we will work with your staff to get all resident information uploaded into our state of the art billing system. Once all information has been uploaded into our system meter readings will be sent to the Multifamily Utility headquarters via wireless transmitters and receivers. At the end of each month we will process all meter readings and create individual bills that will be sent out via email or regular mail. We also collect all payments on your behalf and send out a monthly reimbursement check to the owner, manager, association manager or other persons in charge of receiving payments. At Multifamily Utility our number one goal is to help you meet the needs of your property. In order to do that we offer a host of services including Customized Ratio Utility Billing Systems, Billing & Collections, Meter Maintenance & Compliance, Resident Expense Management, System & Equipment Financing and Utility Expense Management. As a client of Multifamily Utility you will have access to our live, bilingual customer support team. You can contact us anytime with any questions, concerns or issues you may have. We track all inquiries to ensure they are responded to and resolved in a timely manner.